The AIR’s overnight channel and training academies have been shut down as a cost-cutting and rationalisation measure. New Delhi: India’s national state broadcaster has decided to shut down the only national channel of All India Radio (AIR) with immediate effect as a cost-cutting and rationalisation measure. In a sudden move announced by the Prasar Bharati Thursday, five regional training academies have also been ordered to close down with immediate effect. Speaking to ThePrint, Prasar Bharati CEO Shashi Shekhar Vempati said rationalisation of terrestrial broadcasting is a continuous process. “We have been reviewing areas that have not been effective and where technology is getting obsolete and will invest in new areas that we expect to be relevant and technology is forward looking, such as digital. This is an ongoing exercise and will continue,” he said. “As far as a national stream goes, it is our desire that we should have a 24×7 news stream. We are working towards it,” Vempati added. The move would leave AIR with no national channel of its own, unlike state television broadcaster Doordarshan, for the broadcast of national events. The multilingual channel, which operated overnight from 6 pm to 6 am, broadcast hourly news, panel discussions and programmes of national importance, catering to all segments of the Indian society. It was started in 1987 according to the broadcast policy of the Government of India. On a case-to-case basis, AIR puts together a national network by linking up regional channels for special events. However, without a specific channel, the broadcaster will now have to resort to this regularly. Sources highlighted the need for a national channel for AIR, saying that every time a national network has to be “created” for the broadcast of an important programme or event, several regional channels have to end up dropping their own programmes, and at times, commercials, which not only affects a loyal audience, but also leads to revenue loss. 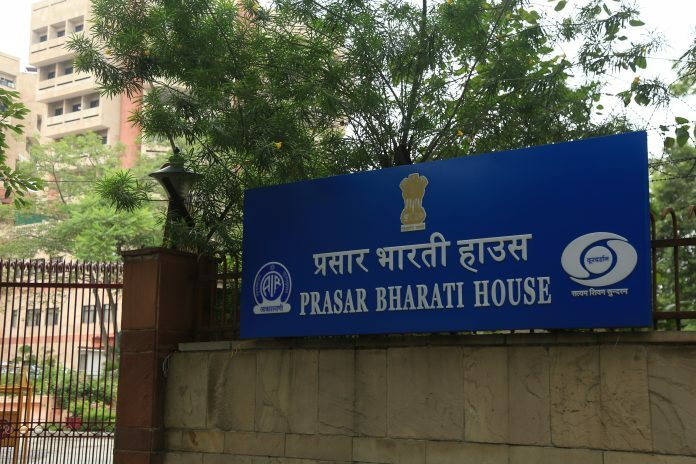 Apart from the national channel, the Prasar Bharati also ordered to close down Regional Academies of Broadcasting and Multimedia (RABM) in Ahmedabad, Hyderabad, Lucknow, Shillong and Thiruvananthapuram with immediate effect. AIR officials said the public service broadcaster is moving away from its core job — public service — by cutting costs. “This only shows how seriously the higher-ups take broadcasting in this country. Does shutting down academies mean that no training in broadcasting is required?” asked an official who did not wish to be named. Another AIR official cited the closure of AIR Yuvavani, a popular youth channel, in 2014. “By shutting such channels, Prasar Bharati is making AIR shift from its core job of public service broadcasting,” said the second official on condition of anonymity.